The Equalizer is a 2014 American action neo-noir crime thriller film produced by Village Roadshow Pictures and Escape Artists, nominally based on the television series of the same name. The font used for the film title in the poster is Univers Black Oblique. Univers is a neo-grotesque sans-serif typeface released in 1957. Based on the model of the 1898 typeface Akzidenz-Grotesk, it was notable on its launch for its availability in a comprehensive but consistent range of weights and styles. 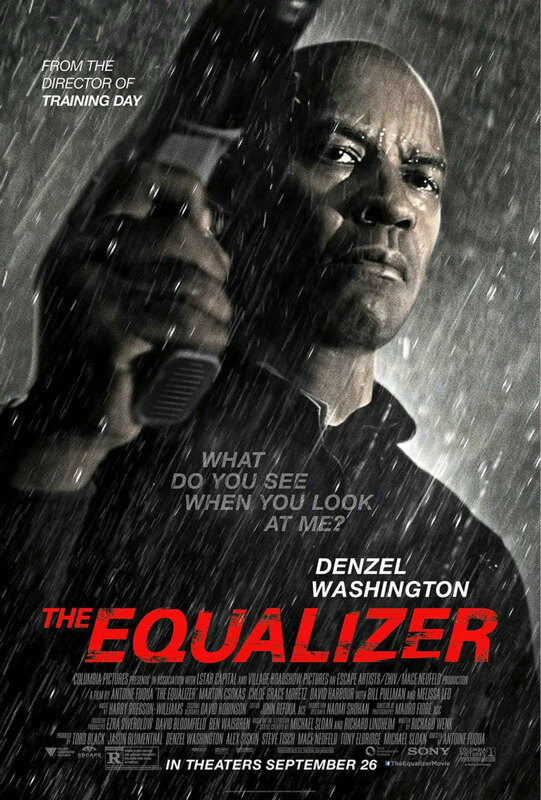 In addition to The Equalizer (film), Univers typeface is also used in the following logos, movie posters or album covers etc., including: The Deep Blue Sea, Knights Inn, No Reservations, Lotus, BP, Ebay, Motorola, TNT Jackson, Lockheed Martin, Batman Begins, W+K, Parker, General Mills, Your Body, Black & Decker.